The association between sleep duration and obesity risk remains unclear. We performed an updated meta-analysis to quantify a potential dose-response relation between sleep duration and risk of obesity. PubMed and Embase were searched for prospective cohort studies examining the association between sleep duration and risk of obesity that were published up to October 28, 2017. Random effects models were used to evaluate the pooled relative risks (RRs) and 95% confidence intervals (CIs) for the association of sleep duration and obesity. Restricted cubic splines were used to model the dose-response association. The meta-analysis included 12 studies (16 reports). We found a reverse J-shaped relation between sleep duration and obesity, with the lowest risk at 7–8-h sleep per day. 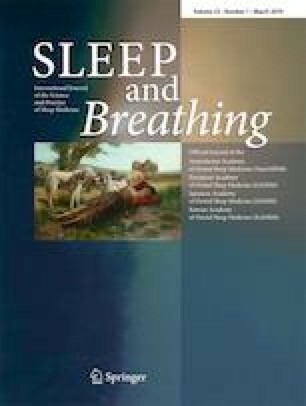 Compared with 7-h sleep duration per day, the pooled relative risks for obesity were 1.09 (95% CI 1.05–1.14) for each 1-h decrement among individuals who slept < 7 h per day and 1.02 (95% CI 0.99–1.05) for each 1-h increment of sleep duration among individuals with longer sleep duration. Short sleep duration significantly increased the risk of obesity. Compared with 7-h sleep duration per day, the risk of obesity increases 9% for each 1-h decrease in sleep duration. The online version of this article ( https://doi.org/10.1007/s11325-019-01824-4) contains supplementary material, which is available to authorized users. This study was funded by the National Natural Science Foundation of China (grant nos. 81373074, 81402752, and 81673260); the Natural Science Foundation of Guangdong Province (grant no. 2017A030313452); the Science and Technology Development Foundation of Shenzhen (grant nos. JCYJ 20170302143855721 and JCYJ 20170412110537191); and the Postgraduate Innovation Development Fund Project of Shenzhen University (grant no. 31500004151). Not applicable for this meta-analysis in which all analyses were based on published literature.